Get the personalized attention and guidance your case deserves. Resolve your family law case with Ami Decker and her team. 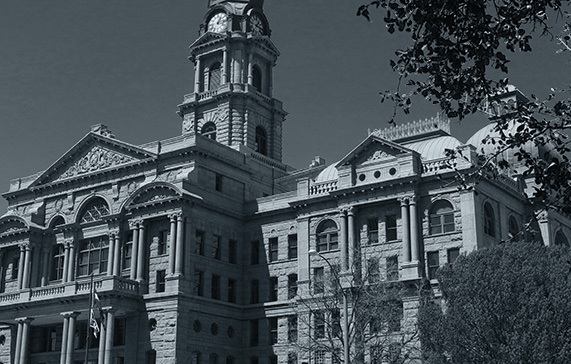 The Decker Law Firm is a team of talented, experienced lawyers and stellar support staff in the Dallas/Fort Worth, Texas metroplex (D/FW) committed to helping you through the most difficult time in your life. We guide you through what can seem like an impossible maze of legal complications in matrimonial law with honesty, integrity, and candor. And because we understand that your family law matter is foremost in your mind at all times, we treat each case with the care and diligence we would treat our own family members’ problems. Our goal is to assist you in weighing all the legal options to come to a workable resolution for you through strong representation and responsive personal service using collaborative law or the traditional litigation process. We can help you through all aspects of family law matters including divorce, child custody, child support, division of your marital estate, enforcement of visitation or child support, interstate enforcement of other state orders, grandparents’ visitation rights, termination and adoptions, and more. The following is a list of services our firm routinely performs. The cost associated with each service is very subjective depending upon the circumstances and facts in each case. If you have any questions about our services or wish to make an appointment with one of our attorneys, please look here for contact information or here to make a web inquiry. Obtaining psychological and drug testing for parents and children. Enforcement of parental rights duties and responsibilities to the other parent and the child. Interstate enforcement of foreign (non-Texas) custody and visitation orders from other states when child has become resident of Texas. Grandparents' Rights Within Texas As Applied Within Fort Worth Courts. Establishing paternity and rights, duties and obligation of parents. Texas Department of Family and Protective Services (otherwise known as Child Protective Services) involvement and/or Texas State Attorney General involvement. Filing Motions for Lift of the Automatic Stay in Bankruptcy Court for the purposes of enforcing or securing child or spousal support. Appeals of final family law decisions to the 5th Circuit Court of Appeals.